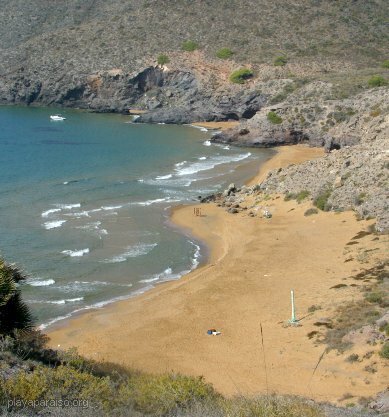 All of the beaches at Calblanque are wide, sandy and unspoilt. There are few facilities; no buildings or bars. It should be noted that this is the Mediterranean Sea, so can have strong currents and there are only a couple of lifeguards on duty and then only in high season. Also keep an eye open for jellyfish. If you see any washed up, you can assume there are others in the water. Going from East to West the beaches become less popular, the access rougher and people tend to wear less clothes (at least in the summer). Playa de Calblanque which is to the far East and has the flattest access. It's a popular beach, with limited car parking and sometimes (in the summer months) a lifeguard. Because the rocky hills often reach down to the beaches, there are plenty of sheltered spots if it is windy. 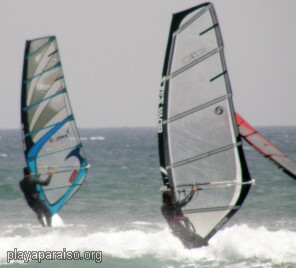 The next beach west is Playa Larga, which is probably the longest. There is a large covered car park and a network of paths and planted areas. Various parts of this beach seem to be popular for water sports, fishing and bathing. Away from the main parking area, the tracks leading to the beaches can be torturous. 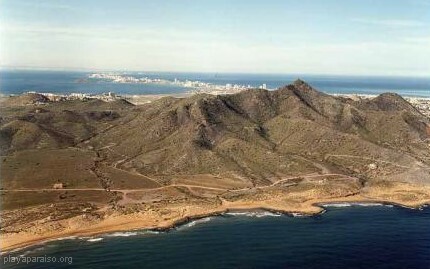 Playa Negrete is reached by taking an even rougher road from Playa Larga, for approximately another km. 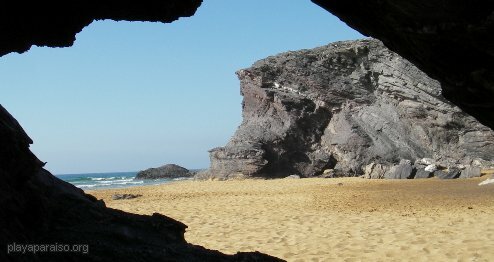 It's a lovely wide soft sandy beach, with rocks and caves where the hills meet the beach. As the guide books will warn you, it is a Playa Nudista (nudist beach). So there will be naked people about, mostly Spanish, mostly couples and minding their own business. I didn't notice anybody playing volleyball. However I did spot two couples working their way down the beach, playing golf. You won't get arrested. 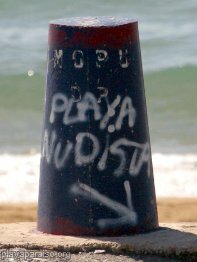 In Spain nudism is a legal practice at any public place, unless you are likely to 'cause a disturbance'. If you are not comfortable with people wandering around with no clothes on, I suggest you avoid this beach, or at least stay at the end of the beach that is nearest to the car park. Beyond Playa Negrete, there are a couple of very pretty and secluded bays. The first is Playa Parreño. This can only be reached by the footpath that starts back at the car park and be warned it is rather steep in sections. When crossing the headland between the beaches it is worth walking out to the end where the views are tremendous. There are paths running in all directions, but the main one can be followed using painted marks on the occasional rock. I've never been down to the beach, so I have no idea what the green pole is. Does anybody know? Also, because there is no access by road the beach is never cleared of rubbish; so be prepared to see some debris, such as oil drums, lying around. It has been pointed out to me that it's best to look carefully before going onto this beach as it occasionally attracts some rather uninhibited nudists. Here might be a good place to mention that staring isn't as impolite in Spain as it is in other countries. If you look a bit different or are simply walking by someone on the beach be ready for others to stare at you. And don't be surprised if they look longer than a few seconds.